The three major commercial radio broadcasters are now well and truly into the podcast business. Nova Entertainment and Southern Cross Austereo both flagged their international partnerships and local plans last year. They both updated the market and launched new initiatives in the past month. Now ARN has entered the fray tapping the resources of Spreaker and Whooshkaa. As a consequence ARN’s iHeartRadio now has more than 500,000 podcast episodes and claims to be the largest podcast provider in Australia. As Southern Cross Austereo officially launched its already operating PodcastOne Australia platform earlier this month, Mediaweek caught up with the CEO of the US business, Jim Berk. “We are the largest podcast network in the US. We will have about 1.7b downloads in 12 months and we have about 500 hours of original programming a week across 200 shows,” said Berk at the Sydney PodcastOne launch event. “If you are talking about technology, distribution, sales and marketing we are the premier player in the US. “When Southern Cross Austereo approached us about these territories and to create a parallel project we actually did an investigation to see if they were the right partner. We wanted somebody who had a long-term commitment versus just using our platform for repurposing. In doing this partnership we had to cordon off our programming from this territory. “In the past, US PodcastOne content would have been available in this country. Now we have geoblocked this territory so the programming will be exclusive to the Australian operation. 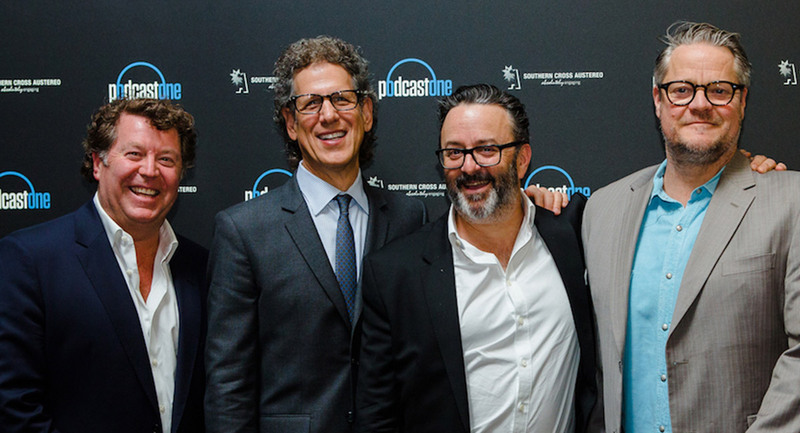 PodcastOne was formed in the US in 2012 and the inaugural podcast included Adam Carolla, who is the largest podcaster of all time. His show was the basis of PodcastOne. Corolla has “skin in the game” as one of the founders of the US business. Berk: “Adam had left radio when PodcastOne started and he is a full-time podcast network. He does 15 hours a week across six different shows with an audience upwards of 3m a week across those different podcasts. Berk said he is working with SCA on bringing Carolla to Australia to record some shows some time in the next six months. After a decade in the TV and film business before taking over PodcastOne, Berk said he has a good feel for what will and won’t work, but you can never be too sure. “Even the second coming of Christ could be a 50/50 proposition in our business. It is really hard to pick. This is an excerpt of the full article, which appears in the latest issue of Mediaweek magazine. Mediaweek has been covering the Australian media industry every week for over 27 years – all for an annual price of less than one conference. We continue to rely on subscription revenue to support our independence. Subscribe here.